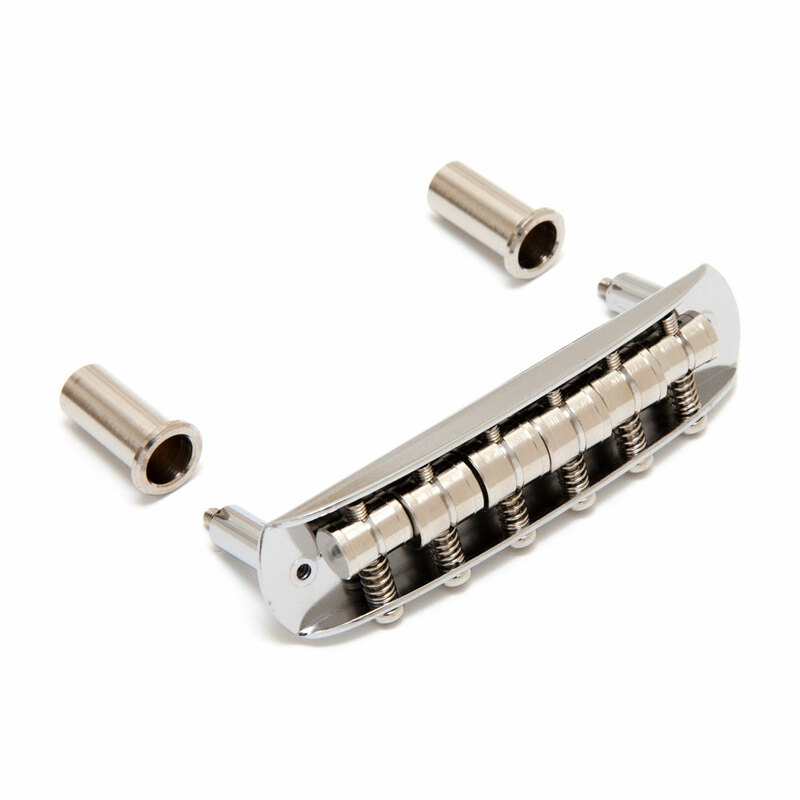 The Hosco Mustang/Jaguar/Jazzmaster Style Bridge features the smooth one string slot saddle design that has been standardised across modern Fender offset guitars. The saddles are individually intonatable, their shape removes any problem of strings coming out of the slot during playing. The bridge is height adjustable using the allen/hex head screws inside the bridge posts (adjusted through the hole in the top of the bridge plate) these screws sit on the body anchor 'thimbles' allowing the bridge to rock with the tremolo motion so it accurately returns to pitch. We also stock both Mustang and Jaguar/Jazzmaster tremolo units as separate items.